Say there, young fella! Do you want a Lincoln? What's that? No? Well, Ford is about to entice you into a fancy new MKS, MKX or MKT with a program roundly criticized by their dealers that they insist they aren't actually doing. Bloomberg Businessweek today reports on a bonus program Ford is pushing to pump up sagging Lincoln sales, one that car dealers aren't happy with at all. Their report says the bonus programs, also called stair-step incentives, pay dealers more cash per model as they cross sales thresholds. What's wrong with dealers getting more money when they hit sales targets, you ask? The problem is that they lead to money-losing tactics like too-steep discounts on cars and overly generous trade-ins, and once these incentives are over, they result in steep sales drop-offs — not unlike the incentives offered to buyers themselves. It's kind of a form of cheating to boost sales. Here's the real kicker, according to the story. Ford sales analyst Erich Merkle said Lincoln is using the stair-step programs selectively in certain markets like New York and Washington on "legacy cars" like the MKS and MKX, but Ford vice president of U.S. marketing Ken Czubay insists they aren't. So who's telling the truth? Businessweek's story certainly makes it seem like the stair-step programs are in fact happening. Lincoln deliveries fell 6.4 percent this year through August to 53,399. 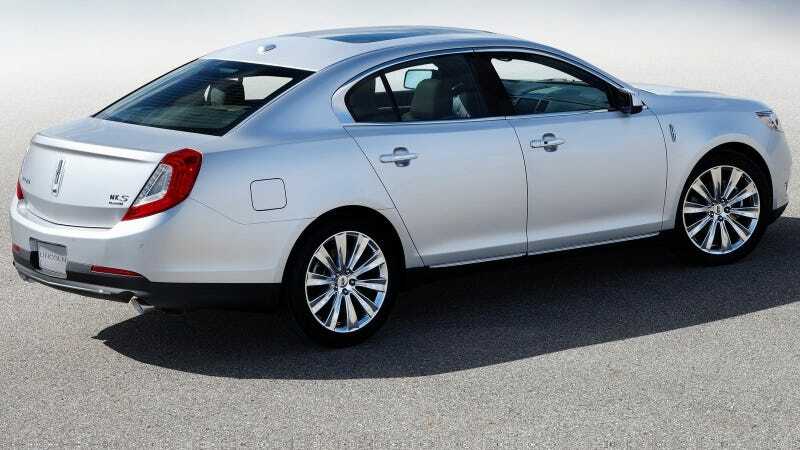 Ford sold 20,901 MKZ mid-size sedans, only two more than it did during the year-earlier period. The redesigned car is the first of four new models in four years that the company has pledged will begin to turn around the brand. What does this mean to you, Mr. or Ms. New Car Shopper? It means that right now if you go to the right dealership you may be able to get a very sweet deal on an MKS. You know, if that's what you want. Hat tip to Micki Maynard!